In the latest episode of BioTalk we discuss genetic testing and what could happen to your DNA after it leaves your body. Generally speaking, genetic testing is ethically neutral. In fact, in some cases it may be medically, and therefore ethically, necessary. But, whether you’re getting tested for legitimate health reasons or just to find out “who you are” and where you came from, you should be aware that once your DNA leaves your body you have zero control over what happens to it. This is important to understand because there is a lot of money to be made on harvestable biological material. A recent example of this is the news that the consumer genetic testing company, 23andMe, has been selling access to its enormous DNA database to more than 13 drug companies. One, Genentech, anted up $10 million for a look at the genes of people with Parkinson’s disease. That means 23andMe is monetizing DNA rather the way Facebook makes money from our “likes.” What’s more, it gets its customers to pay for the privilege. As Rebecca noted, John Moore brought his case to the California Supreme Court, which ruled that a hospital patient’s discarded blood and tissue samples are not his personal property and that individuals do not have rights to a share in the profits earned from commercial products or research derived from their cells. Michael Crichton’s novel Next is based on Moore’s case. Once again, this is not meant to dissuade you from genetic testing, per se, even just out of curiosity about your ancestry, but to help you be a better informed consumer/patient. Questions worth asking before submitting any genetic material: What is the scope of the research; How long will your samples will be kept; Will they be used for further testing? Categories: BioTalk, Genes | Permalink. Scientists love to give themselves “ethical guidelines” — only to “reevaluate” and revise those guidelines when they are no longer convenient. A perfect recent example of this came this May when scientists in two separate studies reported keeping embryos alive, healthy and developing for 12-13 days. In both studies the embryos grew autonomously and began processes that lead to organ development. This was significant because for decades international policy has limited embryo research to the first two weeks of development. Until now there had never been reports of anyone cultivating in vitro human embryos past seven to nine days. Now scientists are calling for an extension of the 14-day rule. The authors hope that the updated guidelines will allay various ethical concerns, and avoid the need for strict government regulations that could impede the progress of science. The sad thing is, even when governments do decide to form policy regulating research, it’s often only the scientists they want to hear from. In the latest episode of BioTalk, Dr. David Prentice and I discuss the need for more than just scientists to be involved in public policy discussions regarding human-embryo experimentation. Yes, when forming policy, it is important to hear from “the experts”, but you also need to hear from everyone else who might be a stakeholder. And when we start talking about human genetics and the future of the human race we’re all stakeholders — and we should not neglect or be afraid to speak up. Cloning and embryo experimentation may not be major news these days, but that doesn’t mean it’s not being done. Unfortunately, the conversation has become too quiet lately, especially among pro-lifers. Pro-lifers will lose the next stage of this argument unless they become more informed. The graphic abortions we have known over the past few decades will soon be largely a thing of the past, but we may be killing more unborn children than ever before. And this research is roughly 10 years younger than legalized abortion. The Brave New World may soon be upon us, whether we like it or not, but let’s not watch it advance without putting up a fight! Categories: BioTalk, Genetic Engineering, Stem Cells | Permalink. BioTalk is finally available on iTunes for your listening convenience. Please check it out, get caught up on anything you might have missed — and subscribe, so you don’t miss anything in the future! After nearly a year of evaluation, last month the National Institutes of Medicine recommended that the FDA approve three-parent embryo techniques for use in IVF in the United States. 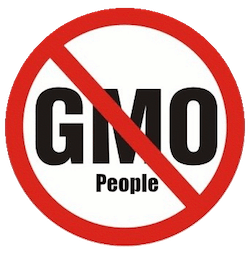 In this episode of BioTalk, Chelsea spoke with Dr. David Prentice about what, if anything, is being done to stem the tide of human genetic engineering in the United States. And if there’s any hope for tighter, more permanent restrictions in the future. Categories: BioTalk, Genetic Engineering | Permalink. Last year the UK became the first in the world to offer controversial ‘three-parent’ fertility treatments. This year they approved the use of CRISPR to edit genomes of human embryos. In the latest episode of BioTalk, Rebecca and Chelsea talk about how scientists and governments have re-engineered language to sell the public on embryo-re-engineering. We also look at the long-term implications of genetic enhancement. Specifically, how enhancement leads to coercion and the loss of human dignity. If the embedding does not work for either of those, click here for: YouTube — Soundcloud. Embryo custody battles are on the rise. Except, legally speaking, they aren’t really “custody” battles — in the traditional sense of the term. They’re more like property disputes. In St. Louis, Missouri Right to Life has gotten together with a few other pro-life organizations to file an amicus brief in the case of McQueen v. Gadberry in Missouri Court of Appeals. The pro-life groups are working on behalf of Jalesia McQueen, who wants to implant and give birth to the remaining two embryos that she and her ex-husband made while they were still married. She is appealing a Trial Court ruling, which ordered that the embryos must stay frozen unless and until both parties can agree on what to do with them. 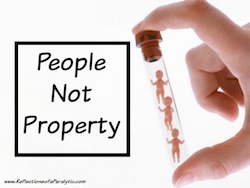 They also ruled that the embryonic children are marital property — though of a “unique type,” because what one party does with them in the future (the mother) may impose unwanted obligations on the other (the father). In the latest episode of BioTalk, Chelsea spoke with Jim Cole, who is the General Cousel for Missouri Right to Life and who was responsible for editing much of the brief. The constant theme throughout is what is in the best interest of the (embryonic) children involved. And that is the ironic legacy of IVF: that couples are so desperate for children to love and yet concern what’s good and right for the children themselves is actually put last. The Trial Court ruled against Jalesia McQueen obtaining and implanting her own embryos citing her ex-husband’s “right not to procreate.” Which is, of course, ludicrous, since procreation has already taken place. America has a sordid history of defining certain classes of human beings as property. Let’s not go down that road again.